OECD Bookshop - Why Am I Me? 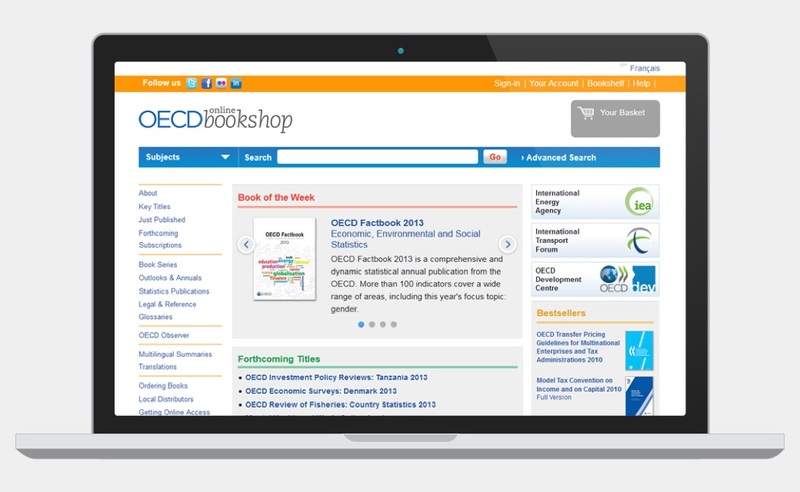 With their OECD Bookshop website over a decade old, the Paris-based Organisation for Economic Co-operation and Development (OECD) decided it was time for a revamp. The dual language, high turnover e-commerce website sells publications by the OECD and its imprints. As well as selling printed books, the site also fulfils orders of PDF copies of their publications. The design reflects the style and branding of other OECD websites utilising the same colours and fonts.